Why haven’t I heard of “trigger points” before? Based on the science of how tissues in the muscles and joints are interconnected, trigger point therapy, or myofascial release, uses targeted pressure to provide relief for pain and stiffness. Fascia tissue gets its elasticity and strength from the fluid contained within each tissue’s tube-like shape. But when this fluid begins to dry up, the fascia lose their ability to help joints and muscles move smoothly, resulting in stiffness, pain and a greater chance of injury. 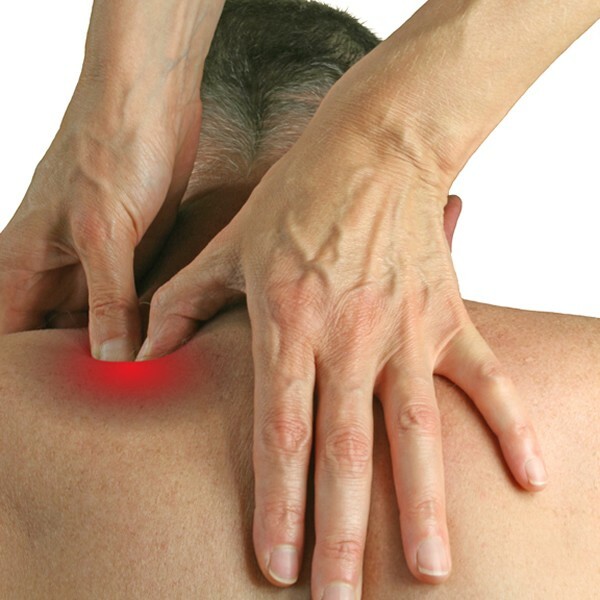 Physical therapists trained in trigger point therapy locate the areas of myofascial restrictions. They are then able to stretch the fascia tissue, releasing those crucial fluids, and stretching the tissues. What conditions can trigger point therapy treat? What does a trigger point therapy session usually entail? Your first physical therapy session will determine where the pain and discomfort you’re experiencing is centered, as well as focusing on the extent of your range-of-motion limitations. After your evaluation, future physical therapy sessions will focus on massaging the trigger point area or areas, using methods geared toward releasing the stiffness of your muscles, as well as lengthening the tissue structure. Targeted, gentle pressure is often key to this element of physical therapy. Your physical therapist will also stretch the fascia in order to loosen the muscles that have been causing your stiffness and discomfort. With extensive training in trigger point therapy, our expert physical therapists will work with you to restore your muscle and joints’ natural movement. Soon you’ll be pain-free, and able to move freely. Call us today to schedule your consultation.